Josh Smith played on after surgery to repair a broken nose, and is still eager to get another shot at the PBA title. JOSHUA Smith signed up to play in the Japan professional league but the TNT import is willing to have another tour of duty with the KaTropa next year. Smith said he signed a two-year deal to play for Toyama, a team in Japan’s B.League, during the Commissioner's Cup, but told the KaTropa he is willing to return next season. Smith came as a replacement for Jeremy Tyler this conference. He was also the import when the KaTropa reached the finals in last year’s Commissioner’s Cup, losing to San Miguel. 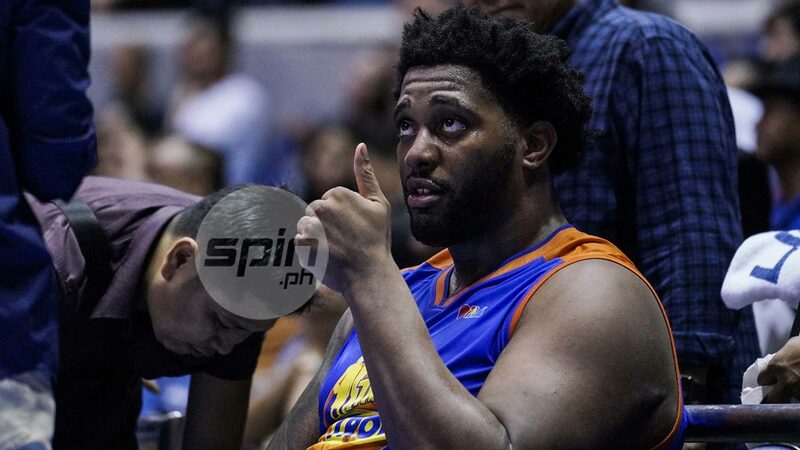 TNT again bowed to San Miguel, this time at the quarterfinal stage, and Smith hopes to be given the chance to rejoin the team for another title bid. “I told the guys in the locker room that I came back because of them. Didn’t matter about the money, didn’t matter about who they have. I came back because I enjoyed all the effort and friendship last year,” said Smith. Smith also commended San Miguel for reaching the semifinals, showing once again the championship poise. TNT was the third seed in the quarterfinals, but lost to the sixth-ranked San Miguel via sweep. “Obviously, last year, a lot of heads were down. We got close but they are the champion for a reason … We had more talent this year. We have guys like Jericho Cruz, Terrence Romeo, contributors for other teams. We have more talent but like I said, when you play a team like San Miguel, you can’t make mistakes,” said Smith. “Charles Rhodes (San Miguel import last year) and (Renaldo) Balkman are different players. I think Balkman attacks a little bit more but they have a team with a championship experience like that, it’s going to be tough. The guys have been there, those Game 6s, those Game 7s, elimination games. Just like coach Nash said, you can’t make mistakes against them, you’ll pay for it,” Smith added. Smith said he always feels like there is a chip in his shoulder which is why he wants to return to TNT in the future. “Always, man. Got to the championship last year, lost to the quarterfinals this year. If it works out, it works out. I won’t mind coming back,” said Smith.